Sens. 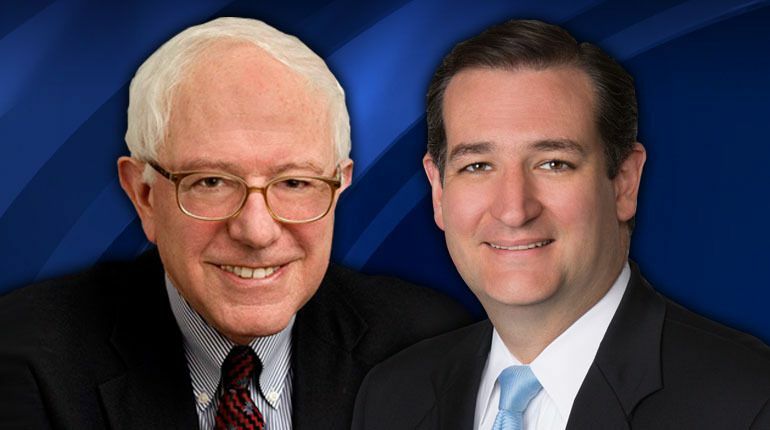 Bernie Sanders (I-Vt.) and Ted Cruz (R-Tex.) debated healthcare reform at a 90-minute CNN town hall, with Sanders insisting healthcare was a right and Cruz saying instead that "access to healthcare is a right." Cruz said on the presidential campaign trail he urged Congress to "repeal every word of Obamacare," but that that did not mean they were "done yet with healthcare reform." He repeated the primary components of an Obamacare repeal bill he's submitted, which does not actually repeal the entirety of Obamacare but does eliminate the mandate and permit the sale of state insurance across state lines, long-time Republican proposals. But over the last seven years, while they voted dozens of times to repeal Obamacare, Republicans did little work on the "replace" part of their "repeal and replace" mantra since they didn't control the White House. But, as Peter Suderman wrote last week, Republicans have now found themselves without much of an idea on a unified way forward.